Welcome to design hotel boutique «Panorama De Luxe». Feel unique atmosphere in each of 32 rooms, with unforgettable panoramic view on Black sea and park zone. 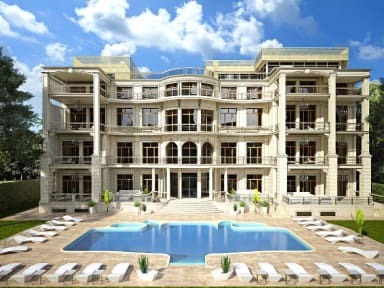 'Panorama De Luxe' takes a special place among the hotels in Odessa. Our hotel is located in the heart of old city, in park zone and fantastic Black Sea view. The hotel is built according to the most modern standards and with a use of high technologies, what actually makes it one of the most progressive hotels among the existing ones. The Hotel “Panorama De Luxe” – Only the best memories of Odessa!